When it comes to lodging in Jackson Hole, you first have to decide whether you want to stay in the town of Jackson, Wyoming or at the mountain resort, which is located about 10 minutes away. Both options have their pros and cons. Staying at the base offers you convenience and easy access to the mountain if you are visiting in winter and plan to ski or snowboard. While staying in town offers you a wider variety of great restaurants and nightlife within walking distance. Staying in town is much cheaper than staying in Teton Village. And getting to the mountain resort from the town is easy, even if you do not have a car. A shuttle bus runs continuously from the town to the ski resort. It costs roughly $3 a person to ride the bus to the resort. The downside to staying in town if you plan to ski or snowboard in Jackson Hole, is that you have to haul all your ski gear on and off the bus and to and from the bus stop. 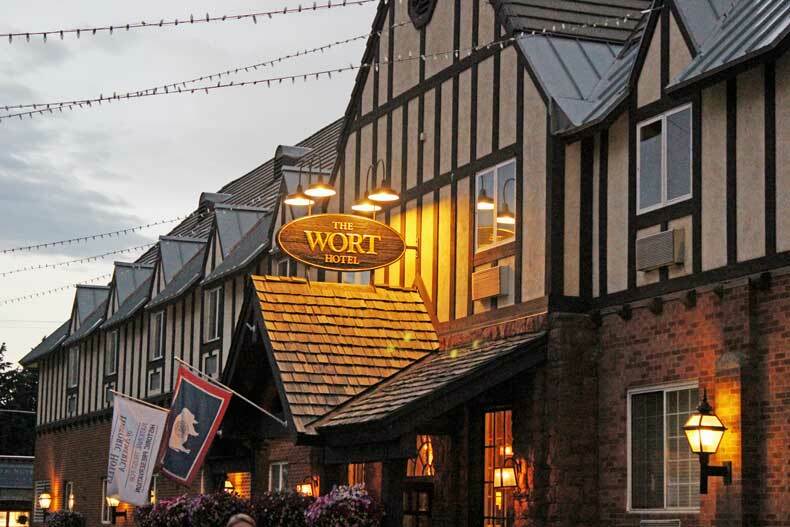 If you plan on staying in the town of Jackson, Wyoming, I would recommend staying at The Wort Hotel. The Wort Hotel is in the heart of downtown Jackson, and it is absolutely charming! The historic hotel is both quaint and luxurious, with western-themed furniture and decor. 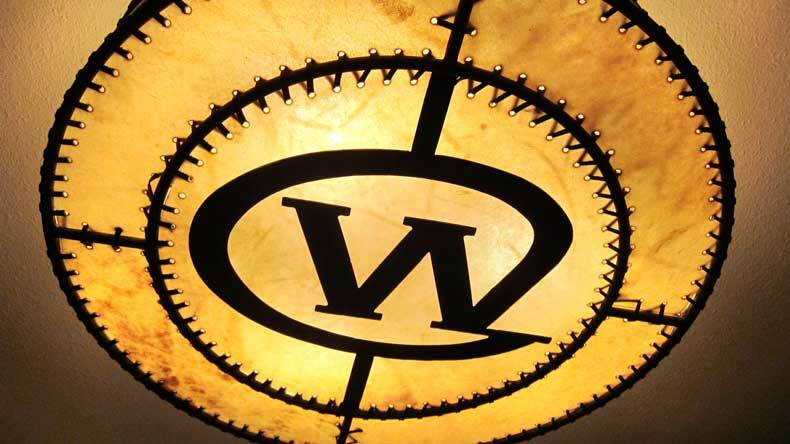 Even the the light fixtures in the hotel are custom made and western-themed. 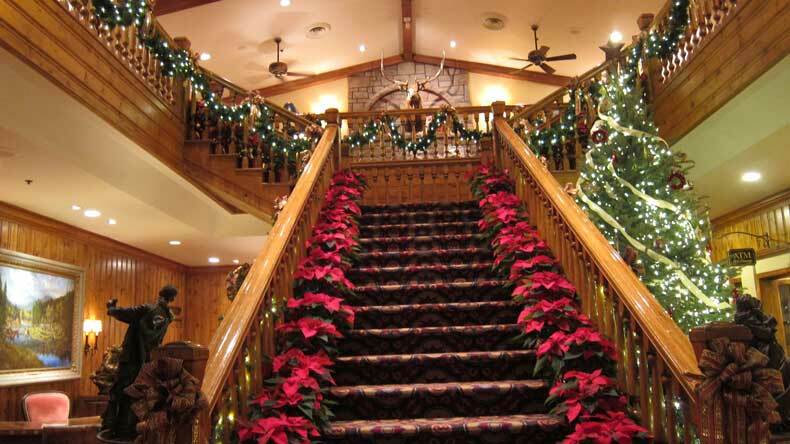 At Christmas, The Wort Hotel, as with the entire town of Jackson, is festively decorated for the season. In fact, Jackson Hole is one of the best destinations for Christmas lovers, and The Wort is definitely where you should stay if visiting for the holidays. 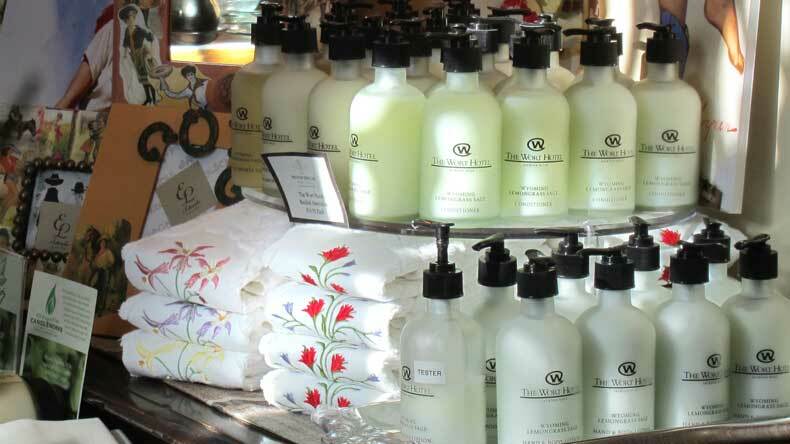 The Wort Hotel also provides the loveliest smelling Lemongrass Sage toiletries. They are so popular with guests that they are available for purchase in the hotel gift shop. We always stop in and buy a bottle or two of the soap and hand lotion at the end of our trip. We receive so many compliments on the hand soap when we have guests at our house! There is a great restaurant, The Silver Dollar Bar and Grill, inside the hotel. But even if you don’t want to dine there, The Wort is within walking distance to a ton of great restaurants and saloons that offer traditional Wyoming game cuisine, as well as vegetarian and vegan options. 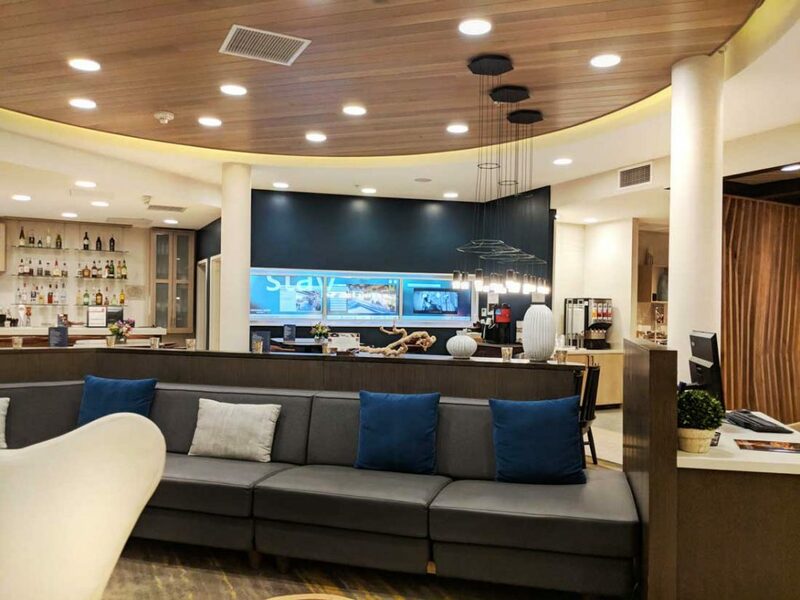 Although SpringHill Suites is a chain hotel owned by Marriott, if you don’t want to splurge for The Wort, this hotel is a nice alternative. It is centrally located in the town of Jackson, just a couple of blocks from the town square and directly across the street from Snake River Brewing, one of our favorite places to eat in Jackson Hole. SpringHill offers a complimentary breakfast, which is a great way to save money on eating out. The inside of the hotel is clean and modern. The bedding is comfortable and the rooms are spacious. Although the hotel lacks the character you will find at The Wort, if you are staying in town, this is a great, affordable option. Staying in Teton Village offers you convenient access to the mountain resort. This is most convenient in winter, if you plan to ski or snowboard in Jackson Hole. 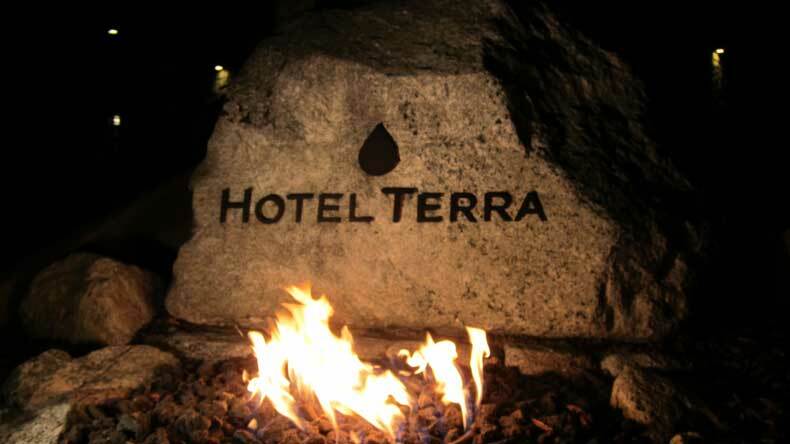 In Teton Village, we have stayed at Hotel Terra twice. 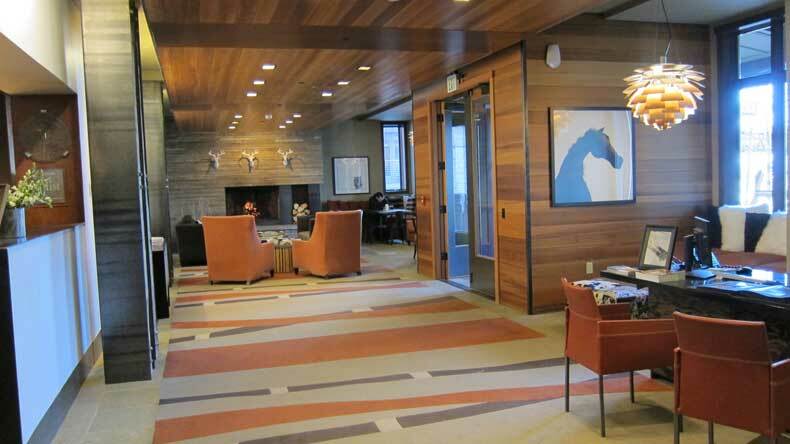 The ecologically friendly hotel is a ski-in (but not out) hotel located inside Teton Village. We have stayed there twice, even though the rooms are pricey. We paid around $400/night during ski season, but this isn’t unusual in Jackson Hole. I like the concept of the hotel and the convenience to the mountain. 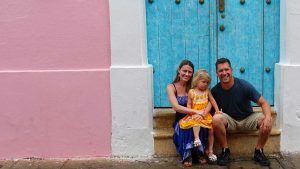 The second time we visited, we did encounter a few issues at Hotel Terra. Our room was not ready at check in, and we ended up waiting an hour and a half, until 4:30 p.m., to get into our room. (That’s not fun when you have been traveling all day and have a baby who desperately needs a nap.) The second day, we returned to our room after a full day of skiing, and the room still hadn’t been cleaned. And on day three and four, the elevator broke and we had to climb three flights of stairs with our luggage and ski gear. Maybe we visited the hotel on a bad week the second time around because we didn’t have a single issue the first time. If you are staying at Hotel Terra, you can store your skis in the rental shop next to the hotel. The rental shop is located by the front entrance to the hotel. It isn’t the most convenient place to store your skis but it beats carrying them up to your hotel room each day. On the positive note, the rooms at Hotel Terra are nice and modern; the hot tub on the roof is very cool, and I love that it is an environmentally friendly hotel. 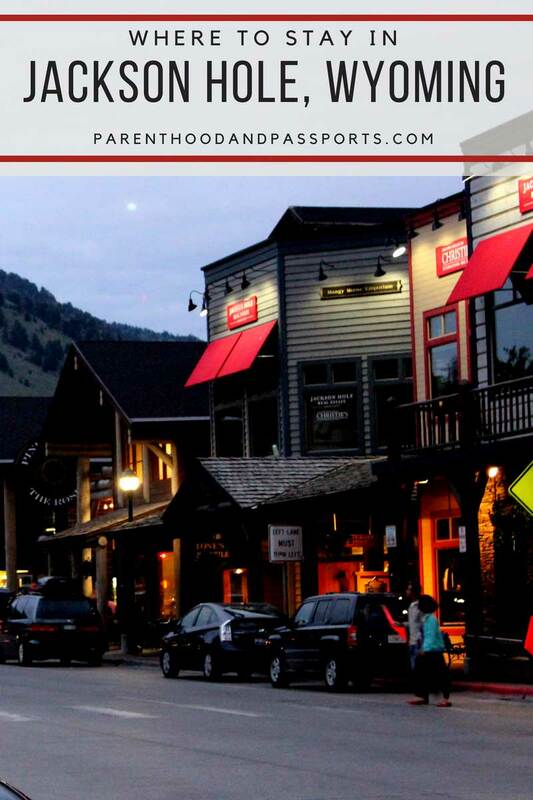 Where to stay in Jackson Hole: Teton Village or the town of Jackson? We will definitely return to Jackson Hole, Wyoming as we have many times. We are ski enthusiasts in the winter, and nature lovers all year round, which makes Jackson Hole the ideal vacation spot. If you are skiing or visiting in winter, staying in Teton Village definitely offers you the most convenience. Jackson Hole is a premier ski resort, so if you love snow sports like we do, definitely check out Jackson Hole in winter. Although the village is great for skiers, we also love staying in the town of Jackson, especially during the summer when the town truly comes alive with activities and visitors. Summer is the most popular time to visit Jackson Hole, and if you do visit during the warmer season, I’d recommend staying in town, as it’s more convenient for shopping, dining, and other activities. 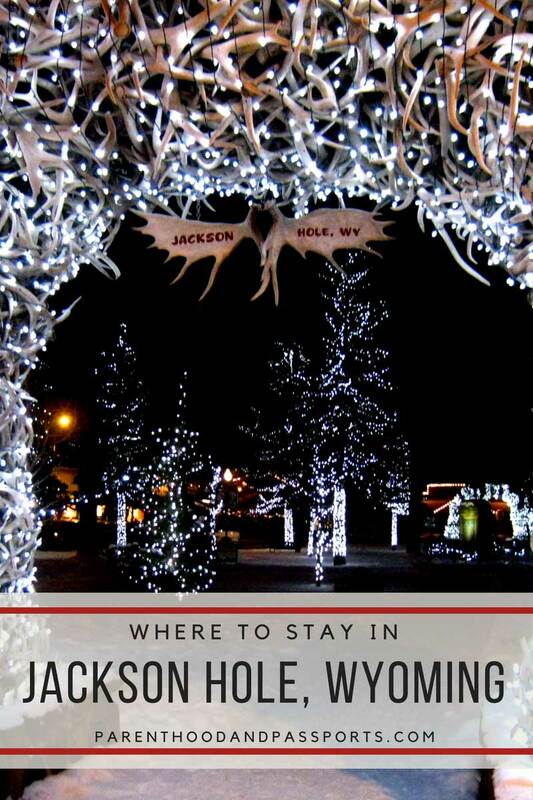 Have a comment or question about lodging in Jackson Hole, Wyoming? We’d love to hear from you. Leave your thoughts in the comments below!